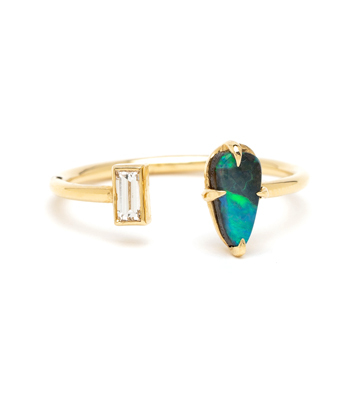 The epitome of beach-y luxe! 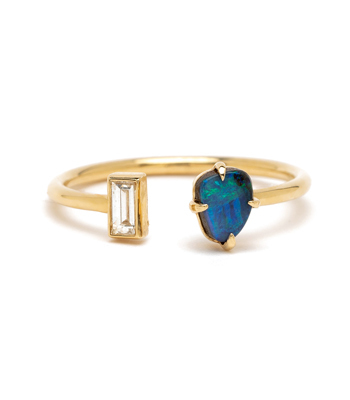 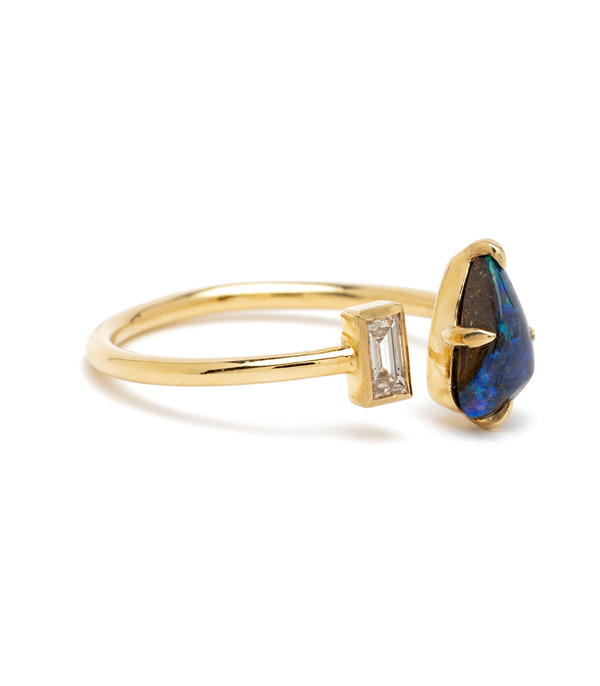 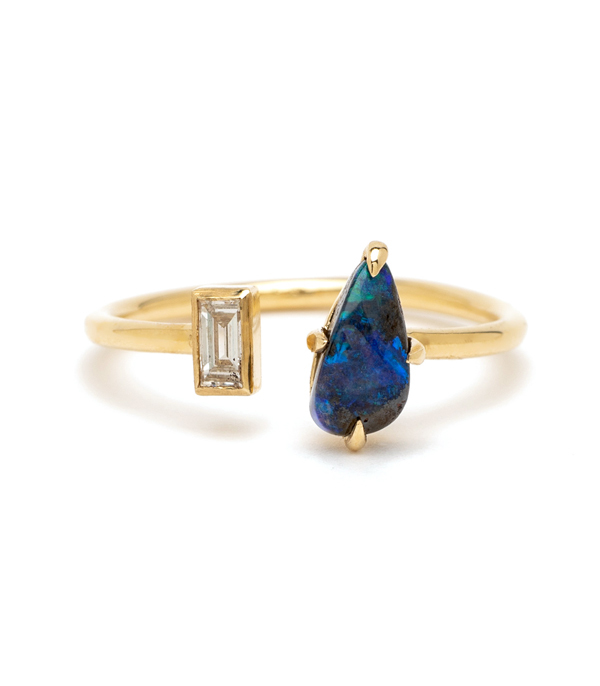 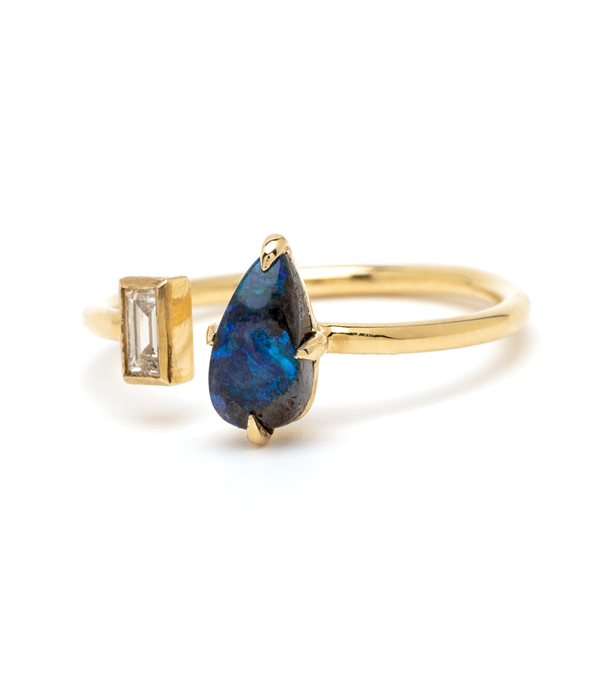 This unique, adjustable ring perfectly balances the crisp sparkle of a baguette diamond and the natural earthiness of Australian boulder opal, shimmering with its bright oceanic palette. Wear on its own for a simple and elegant accent to your everyday, or layer it up to add a playful boho accent to compliment any stack!